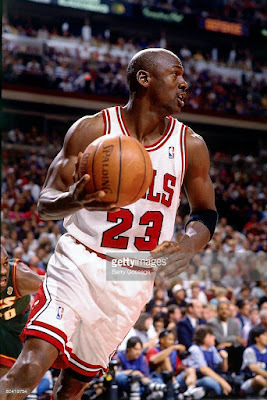 I rooted against Michael Jordan in every one of his NBA finals appearances as a player, and I was not alone. I cannot remember a single person I knew at the time rooting for him either. 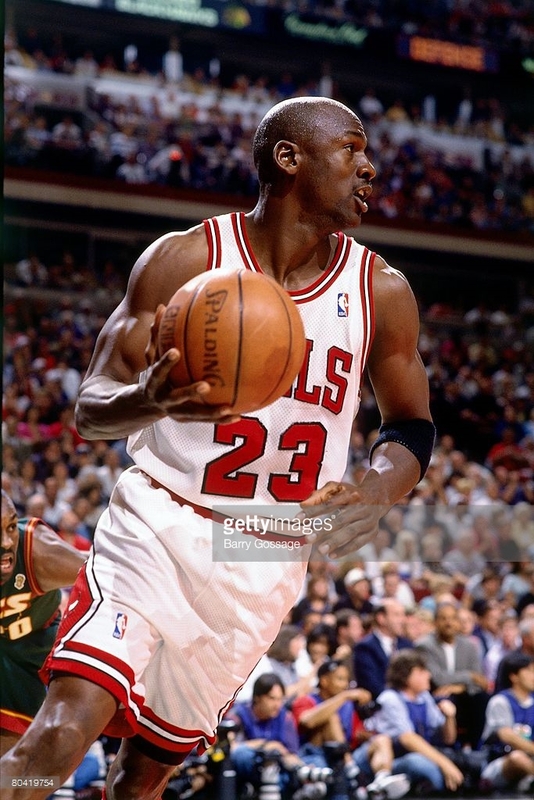 In the spring of 1992, in the midst of his first three-peat with the bulls, I was in Yosemite on a high school trip with a several other classmates. I distinctly remember seeing some kid who we did not know wearing a brand new Bulls leather Starter jacket (the sports fashion of the time), and daring one of our group to go over and ask the kid how the Bulls were doing. We were certain the kid was just a bandwagoner and wouldn’t be able to tell us anything. The kid knew nothing. We laughed. Six years later, I was on vacation. We were staying right on the Nevada-Utah border, and I remember distinctly the local paper taking out a full page ad to say “Go Jazz.” I was in a border casino to watch the final game, when Jordan pushed off Bryon Russell for the series clincher. The entire casino- the entire casino- knew it was a foul and several fellows near me began cursing Jordan out. Nobody there was rooting for Jordan. Not. A. One. I mention all this now because you can hardly find anybody who will admit to rooting against Jordan during his glory years. I did. I don’t say it boastfully, I say it truthfully. I say it because I am from the West Coast, and I rooted for those Blazer teams of the early 90’s to win a title. I say it because I wanted Charles Barkley to win a title in 1993. I say it because I thought wouldn’t it be great if the Sonics could beat the 72-win Bulls in 1996. I say it because John Stockton and Karl Malone should have won at least one title with Utah. I say it because I rooted against greatness, against arguably the best player of all time, and I only appreciated Jordan and what he did after he retired a second time, and then came back with the Wizards. Then I wanted Jordan to succeed, and of course he could not. I say it because I see so much vitriol and hate pointed at Steph Curry and the Golden State Warriors. I say it because I see so many people wanting the Warriors to lose, to fail, to stumble. I say it because the Warriors have done something incredible, are trying to win back-to-back titles and be part of the discussion with the Bulls and Lakers and Celtics as having one of the great stretches in NBA history. And I see so many people trying to tear them down. 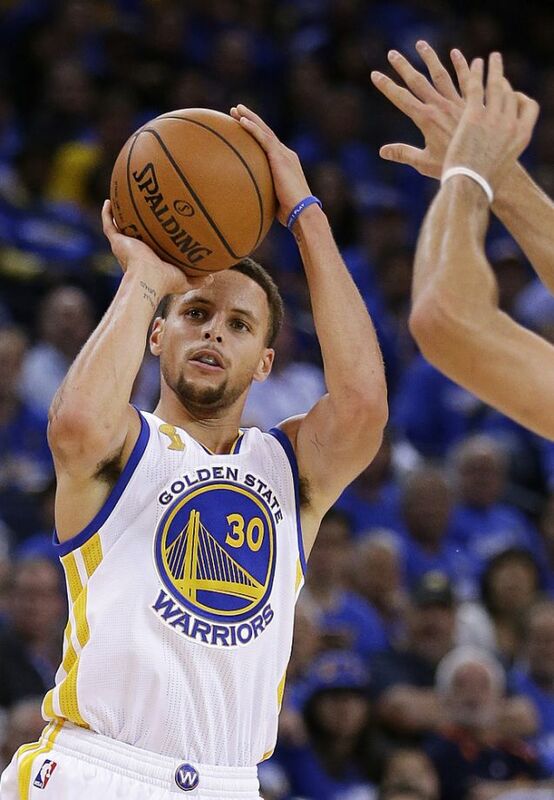 There’s an “Eff Steph Curry” hashtag out there (but without the “Eff”). (Link NSFW) Every time the Warriors lose a game- at this point, even when they win- I see so much hate in every comments section out there. But I see more than hate- I see people who will regret ignoring greatness. I didn’t watch much Jordan in his prime, and that I regret. I don’t regret not rooting for him, I regret not appreciating him while he was the best basketball player on the planet. And yes, there is a difference. I am a Giants fan but I appreciate Clayton Kershaw and Yasiel Puig because they are good. I can't refuse to watch great talent. Because I refused to watch Michael Jordan, and you're thinking I'm an idiot for doing that. So, what are all these Steph Curry and Warriors haters going to think in 20 years? Exactly, they're going to realize that refusing to watch this lightning in a bottle was a dumb thing to do. I want to tell the haters that someday soon they will regret ignoring these past two seasons, these playoffs, and however long the Warriors can keep this up, because they too are refusing to appreciate greatness when it is right before their very eyes. I ignored Jordan because I chose to ignore greatness while it was happening. I won’t make that mistake again. Nobody should make it in the first place.